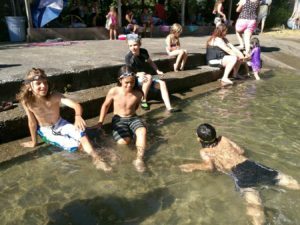 With summer in full swing in western Washington, many people are looking for places to relax and cool off. 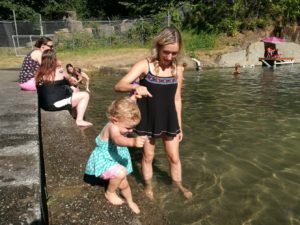 For those of us in and around Thurston County, a delightful and unique option is the Tenino Sandstone Quarry Swimming Pool. 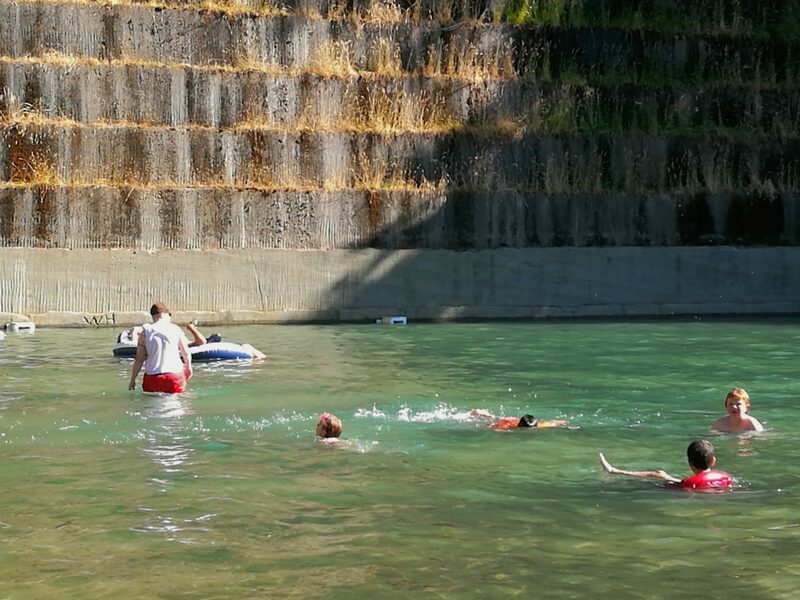 Where else can you take the family to swim in a historic sandstone quarry filled with natural spring water and framed by towering tiers of moss-draped stone? It is hard to envision a more enticing setting for swimming and sunning on a hot summer day – and with the water temperature at a bracing 58 degrees, the hotter the day, the better. The Tenino Quarry Pool was originally a working sandstone quarry in the late 1800s. Legend has it that quarrymen struck a natural spring that quickly filled the pit with water. As the water flooded the area, the workmen had to abandon their equipment and machinery. To this day tools and heavy machinery are said to still sit at the bottom of the site. “The backdrop is beautiful. You can see the layers of rock where they cut down to make the quarry, so there’s a really authentic feel,” remarks Michele Landa of Olympia. 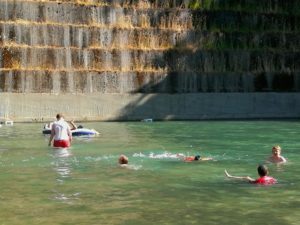 In 1989 the City of Tenino reopened the quarry as a public swimming attraction featuring a wading pool that slopes gradually to a depth of just over three feet, a diving area with both low and high dives and a newly expanded “deep pool” for adults and adventurous kids who pass the deep-water swimming test. The exact depth of this area of the pool remains a mystery however survey maps from the quarry’s working days confirm that the series of pits included a variety of depths, and some estimate the deepest sections to be over 90 feet. Consequently, lifeguards are on duty in both the shallow and deep areas of the pool to ensure swimmers’ safety. For those who are just watching, or for swimmers who need a place to relax and take a break, a small, shaded deck area near the wading pool and a couple of grassy areas for sprawling out in the sun are available. No chairs are provided, so visitors should bring their own or blankets for sitting on. On the hottest days it is wise to arrive early to claim a shady spot. Visits to the Tenino Quarry Pool have become a treasured family tradition for many. Nick Schoenecker drives all the way from Tacoma almost every summer to carry on his family’s tradition. “My dad started bringing us here when we were little, and it’s always been a summer destination for us. It’s different than going to the concrete pools they have in cities. It’s got a more natural feel,” Schoenecker explains. People come from all over to enjoy the pool and its beautiful setting, but Nelson suggests it is also a valuable resource for local kids. “We’re a small town, and sometimes it can be a challenge to find fun things to do. As the local children are growing up, they all come there to swim and play, and as teenagers many of them return as lifeguards,” she adds. Nelson gestures affectionately at a young man at the lifeguard stand, whom she has watched grow up at the pool summer after summer. For many kids passing the swim test and taking their first plunge off the high dive represent rites of passage. On this sunny July afternoon, after much deliberation and patient encouragement from onlookers, nine-year-old Chenel Mackley musters her courage and makes a daring leap off the high dive for the first time. Once she bobs back up to the surface, it is hard to say whose smile beams brighter – Chenel’s or her mother’s. Her mother is cheering her on from the sidelines. The pool is not only a charming place to swim and while away the summer; it is also a reflection of the town’s long history of sandstone quarrying. In the late 19th century sandstone from local quarries was shipped across the region for use in such notable structures as the Old Capitol Building and the Old Thurston County Courthouse in Olympia, Denny Hall and the observatory at the University of Washington in Seattle, and the Pittock Mansion and the Pioneer Courthouse in Portland, Oregon. Nelson points out that the Tenino Train Depot Museum – conveniently located next door to the pool and open on Saturdays and Sundays from noon to 4:00 p.m. – offers a wealth of historical information and photographs for anyone looking to get out of the sun and soak up a little local history instead. Nelson is optimistic about the pool’s future, noting that funding has become more stable in recent years. This has even allowed the grassy sitting area near the deep pool to be expanded to almost twice its previous size. She says the city also has plans to expand the Veteran’s Memorial Garden and add a picnic area that could potentially serve as a public event venue as well. 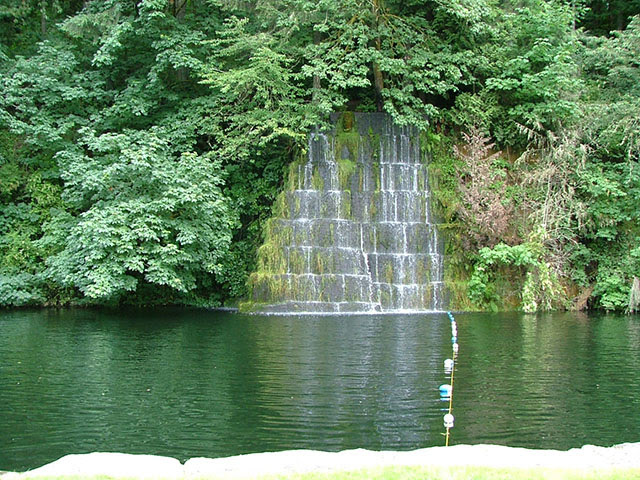 For more information about the pool, visit the Tenino Sandstone Quarry Swimming Pool website. Pool hours: Wednesday through Sunday from noon to 6:00 p.m. 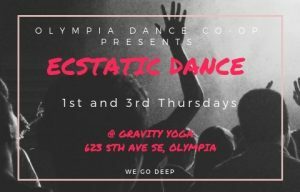 Admission: $2.00 for Tenino School District residents, $4.00 for everyone else. Cash and checks only, no cards accepted. An ATM is available across the street. Admission is good for the whole day, and visitors are free to come and go. Snacks and drinks are allowed but no glass or alcohol. Inner tubes and other floats are allowed in the wading pool. Bring your own chairs or blankets for seating.